This is the story of Rabbi Yisroel Salanter, the founder of the Mussar Movement. He taught us to be honest and caring Jews — and the stories about him are incredible. If you take these stories to heart, your life will be changed forever! 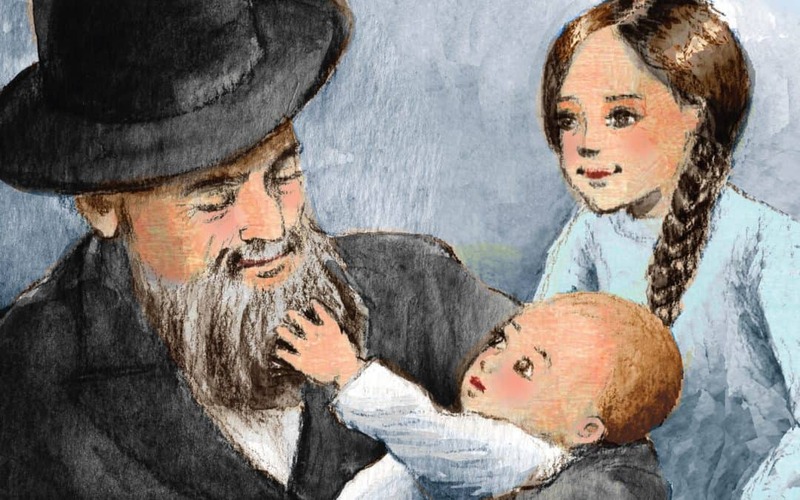 A classic of Jewish literature, The Story of Rabbi Yisroel Salanter has been updated for the contemporary reader and is accompanied by beautiful illustrations by popular illustrator Dena Ackerman. A renowned Jewish educator and baal mussar himself, Rabbi Dr. Zalman F. Ury studied in Kletsk under Rabbi Aharon Kotler, zt”l, and was greatly influenced by the yeshiva’s mashgiach, Rabbi Yosef Aryeh Leib Nanedik, hy”d, who was a talmid of the great Alter of Kelm, a prime talmid of Reb Yisroel himself. Rabbi Dr. Zalman F. Ury was born in 1924 in a small town in Poland called Stoiptz. His original family name was Fajwosowich (pronounced “five-oh-sovich”), but many years later, when already in the United States, he changed his last name to Ury because no one could pronounce Fajwosowich! He kept the letter “F” as his middle initial as a reminder of his original family name. As a young boy, he loved to read and also enjoyed playing soccer with his friends. He learned to read Hebrew at an early age and read a Hebrew book of midrashim on the parashah from cover to cover. He attended the famous yeshiva in Kletsk, led by Rav Aharon Kotler, after showing great promise in learning, During his time there he would sometimes eat on Shabbos at the home of Rabbi Elazar Shach, zt”l, who later would become the most influential rabbi of his time. During one of his years in the yeshiva, Zalman was fortunate to live in the home of the yeshiva’s mashgiach ruchani, Rabbi Yosef Aryeh Leib Nanedik, hy”d. The Mashgiach was a talmid of the Alter of Kelm, who in turn was one of the main talmidim of Rabbi Yisroel Salanter. The Mashgiach was a master of mussar, and by living in his house, young Zalman had the opportunity to learn more about Rabbi Yisroel Salanter and to observe firsthand how a baal mussar leads his life. Thus began Rabbi Ury’s devotion to Rabbi Salanter’s teachings and his quest to share them with other Jews. After surviving the Holocaust, Rabbi Ury learned in the kollel in Beth Medrash Govoha, Lakewood, where he received his semichah from the Rosh Yeshiva. Rabbi Ury felt a strong responsibility to teach Torah to Jewish children and got his first teaching job in St. Louis, Missouri. When he arrived in St. Louis, he did not even speak English so he took classes in English in order to better communicate with his students and their parents. He also took classes in education, earned a college degree, and eventually became the principal of the school where he taught. The Ury family moved to Los Angeles in 1957, where Rabbi Ury became principal of another Jewish school. A few years later, he took a position with the Bureau of Jewish Education, which was responsible for education in all the Orthodox schools in Los Angeles. Within a few years, he became rabbi of the Young Israel of Beverly Hills, where he became famous for his shiurim and his derashos. At the same time, he earned a master’s degree and a Doctorate in Education. What was the subject of his doctoral dissertation? The mussar of Rabbi Yisroel Salanter, of course! Throughout the years, Rabbi Ury corresponded with many great rabbis and wrote dozens of articles on chiddushei Torah and on Jewish education. He published his collected work on chiddushei Torah and mussar in a sefer called Kedushas Avraham, named for his father, hy”d. He also published the first version of his book, The Story of Rabbi Yisroel Salanter, so that children could learn about mussar and the incredible work of Rabbi Yisroel Salanter. After working more than four decades for the Bureau of Jewish Education, Rabbi Ury decided to retire and fulfill his lifelong dream of living in Israel. In 1993, on a visit to Israel, Rabbi Ury went to Rabbi Shach and told him that he had retired from his job and about his plans to move to Israel. Rabbi Shach responded to him: “You can’t abandon chinuch. Go back to your job in Los Angeles.” Rabbi Ury listened to Rabbi Shach and went back to the Bureau of Jewish Education, where he worked for thirteen more years until his death. Rabbi Ury — Zalman ben Avraham Halevi — returned his neshamah to Hashem in 5766 (2006) on the twenty-fifth day of Kislev — the very day of Rabbi Yisroel Salanter’s yahrzeit! He is buried in Yerushalayim on Har Hamenuchos. May his legacy be a lesson for all of us.